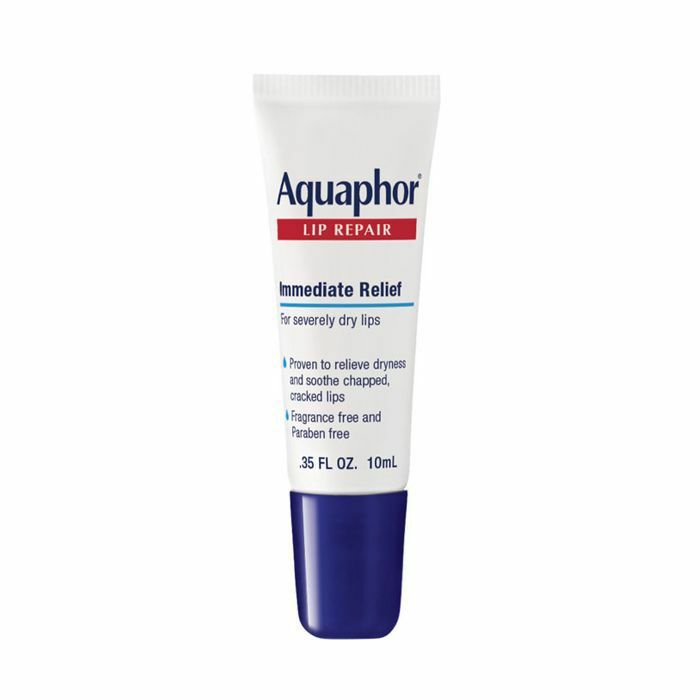 I talk about Aquaphor a lot—it's my best-kept secret to glowing skin when I want a blinding selfie. Photo proof here for your viewing pleasures and if you care to know exactly how I use it on my skin. It's been my all-time favorite drugstore product for, like, ever. I started using this ointment as a child to calm my inflamed eczema patches. Later on down the line, I discovered it doubles as the skin illuminator I never knew I needed. It turns out, I'm not the only one on to this drugstore gem. In a recent interview for Huda Beauty, celebrity makeup artist Hung Vanngo credited this $3 product as his one and only makeup trick. Vanngo works on some of Hollywood's most gorgeous faces—think Selena Gomez, Bella Hadid, Gisele Bündchen, Joan Smalls, Kendall Jenner, Rosie Huntington-Whiteley, and more. Knowing the top makeup trick he uses on the world's most coveted stars costs all of $3 is refreshing, to say the least. "My best and only makeup trick is mixing powder eyeshadow with Aquaphor to create a cream shadow," he told Huda Beauty. "You can also do this with a powder blush to create a cream blush." Genius. This little guy is packed with a healthy dose of vitamins, chamomile essence, shea butter—so it's safe to use on other areas of your face. Its hydrating formula is what makes it such a game changer for glossy lids and transforming the texture of powder-based products. It's a celebrity favorite, too. As reported by Elle, Beyoncé goes to sleep with it smeared all over her face. "I go to bed looking totally greasy," she told the publication. "It's not all glamour all the time." If Queen Bey loves it, it should have everyone's stamp of approval. Hailey Baldwin is a fan as well. According to Teen Vogue, Baldwin calls it her "dessert island beauty product" and uses it on her brows, lips, and lashes. Can this stuff get any more legit? Now, enjoy Vanngo's crazy amazing work on these stunning faces. And remember the important point that he probably used Aquaphor since it's stashed in his kit at all times. Next: Check out the 13 drugstore products celebrity makeup artists use on their clients.